Bianca Gonzalez and hubby JC Intal at the construction site of their next home. 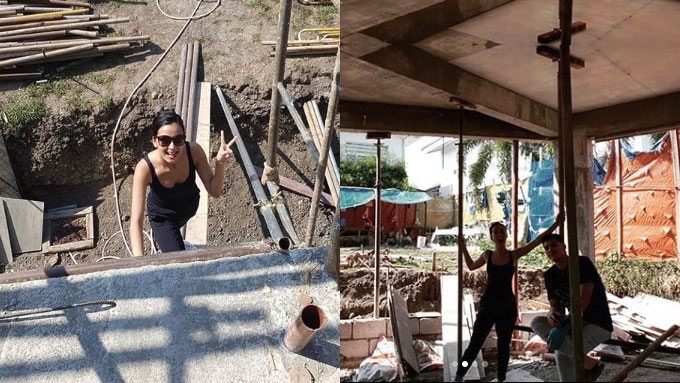 Bianca Gonzalez and husband JC Intal are presently building their next family home. The couple dropped by the construction site early this week to check the progress of their future home and take photos. JC's caption, "south girl," gave a hint on the location. Meanwhile, in November 2018, Bianca posted photos of its exteriors and interiors. Tagging her husband JC, she captioned, "Dreaming of and building everything together." In the comments section, celebrities expressed their excitement for the couple. Doug Kramer, JC's good friend and basketball colleague since college, said, "So exciting guys!!" Bianca quipped, "BFFs nga kayo, pati sa ganito, sabay. [laughing emoji]"
Doug and his wife, Cheska Garcia, are also in the process of building their dream home. The construction began in January 2018, and is nearing completion this 2019. Host and blogger Mikaela Martinez threw in, "More walls of @jcintals7's paintings [wacky face emoji]"
A friend of Bianca whose Instagram handle is @boogsrosales offered, "Congrats B! 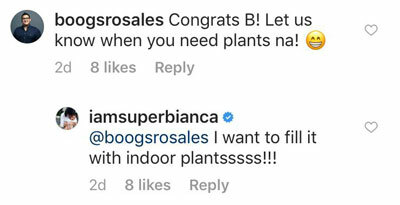 Let us know when you need plants na! [grinning emoji]"
She replied, "I want to fill it with indoor plantsssss!!!" This will be Bianca and JC's second home. "I am very lucky to have a husband who had already built our home, that when we got married, all I did was move in," the celebrity host wrote in her Instagram post back in September 2018. Bianca and JC have two children—three-year-old Lucia and and baby Carmen, who was born on November 18, 2018.